Hoby and Kathryn were staying in Clearwater for the Philadelphia Phillies spring training, Hoby being a professional pitcher. We were able to schedule their engagement session for the last day of our trip before flying back to a snowy, cold Ohio. It was shaping up to be a very busy day as the Phillies had an afternoon game followed by a team dinner just a few hours afterward. We had just the right amount of time to fit their session in-between. The weather forecast looked clear for the entire week and it seemed like we wouldn't have any problems -- until we did (dun dun dun). 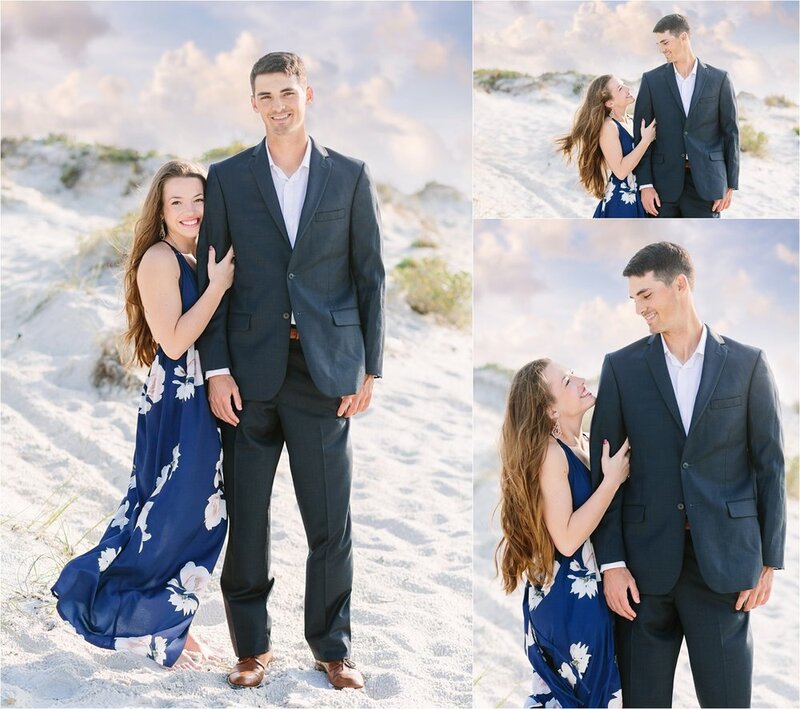 After weeks of planning, the big day to shoot their engagement session at the Sandpearl Resort on Clearwater Beach arrived. Despite perfect weather all week during our visit, the days leading up to the shoot progressively called for a greater chance of rain and storms. This particular day - the only day on our week long trip - seemed to be a wildcard. In the hours leading up to the shoot, rain, thunder, and even lightning did in fact strike, making the likelihood of successfully doing an engagement shoot dismal. We even had a tornado warning! Kathryn and I had been texting each other all day like, "How did this happen?!" In fact, Hoby's afternoon spring training game that day was delayed -- and then ultimately called, ending the game due to bad weather. The crazy storm and our tight schedules made it seem like the session wasn't going to happen and we'd have to reschedule. However, paradise wasn't going to let us get away that easily without capturing some amazing shots! My future sister-in-law and assistant for the day, Abby, and I decided to head down to the beach to scope out the situation. Like magic, the skies began to clear up. We seriously couldn't believe our luck. Soon after, we met Hoby and Kathryn to begin their session. 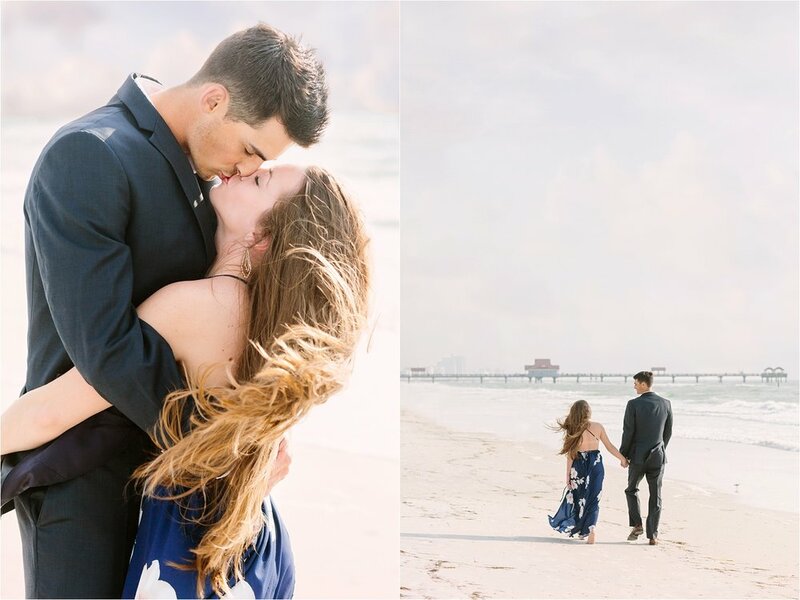 It was crazy windy on the beach because of the storm and Kathryn did a great job embracing it and letting her hair go with the flow (literally)! Nearing the end of the shoot the heavy rain clouds progressively disappeared off into the sea and the Sunshine State did its work! It wasn't late enough in the evening for a colorful sunset, but we did get some gorgeous pretty light. 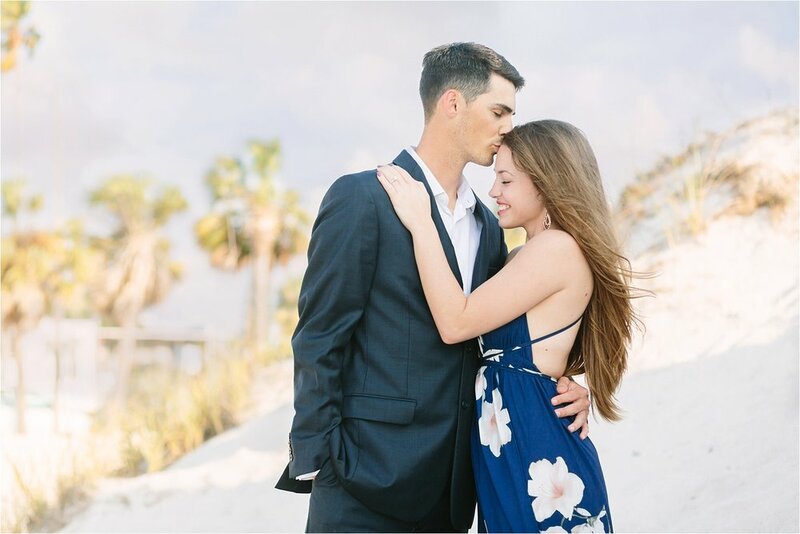 I had a lot of fun getting to know these two while strolling along Clearwater Beach searching for ideal spots to shoot (and avoiding on-lookers who enjoy photobombing! :p) behind the resort. One of my favorite parts of being a photographer is having the opportunity to meet new amazing people from around the country - and world - and develop bonds that most individuals simply don't have the chance to establish working a traditional job. It's always such a treat, and Hoby and Kathryn were no different. They were so cool and relaxed, despite the stress of the day. 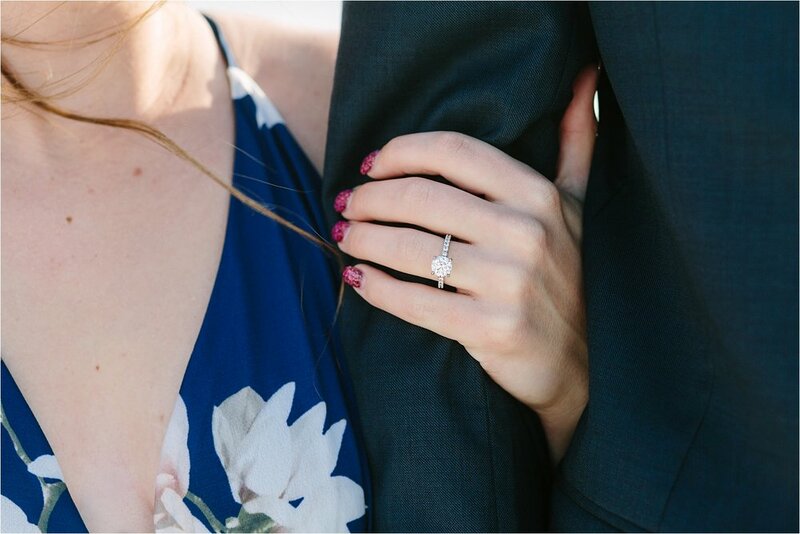 We chatted about our lives, the crazy weather, work, and their exciting honeymoon plans. :) What seemed to be initially a chaotic situation turned into an amazing experience.